Dating online isn’t only for the young. There are a range of senior dating sites online: some are purely for seniors, generally dating sites for the 50s and over; while others are more widely used dating sites that have specific areas for over 50s incorporated. 1: Senior Dating Online. The site requires that you enter your contact details when you begin, followed by a public profile. At this point you can search the site to find people already up and running whose “would like to meet criteria” match your own. The site is a pay site – you will pay to use some of its features. 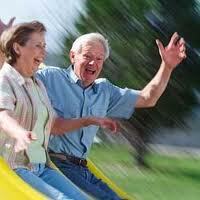 2: Singles Over 60 is a fun, friendly site for seniors aged 60 and above. You start in the same way, joining up and creating a free profile – at which point, again, you can search for free among hundreds of over 60s members. To begin with, you can search for women or men in your area to get an idea of what a profile looks like and the kind of people on the site. 3: Fifty Date is much the same as the Singles Over 60 site, but with a starting age of 50. You also get a range of corollary benefits – for example a guaranteed safe and secure payment system, and a detailed advice blog on the dos and don’ts of senior dating, designed to make sure your experience is as fun and confusion free as possible. 4: Older Dating Online delivers a similar advice service in conjunction with its free profile creation and searching. Again, Older Dating Online is a site requiring payment. Its advice blog may be viewed without payment, so you can get an idea of the sorts of people and the kind of thing that the site represents. Getting involved in online dating can be daunting at any age. The old fears apply: will you find someone who wants the same things you do? Will you make a fool of yourself? How will you know you can trust the person you are talking to? Just as the old fears apply to online dating, so do the old rules. On first dates, make sure you arrange to go out to a public place and tell at least one close friend where you are going, who you are going with and when you will be home. Arrange to call or send a text if your plans change. Profiles are a good indication of the expectations of your fellow site users. And private email conversations may be used to build up a rapport before you arrange to meet. Be aware that you should never, ever send money directly to a fellow site user for any reason whatsoever. Online dating partners, however charming they may sound, have no reason to ask you for a loan, or for your bank details. If you have any questions about online dating for seniors, you can Ask Granny of course. May 6, 2013 guru granny Comments Off on Grandparents Online – What are the best ways of saving money online?